Coach Rafael Everton of Akwa United Football Club has assured the club’s supporters of the team’s readiness to remain on top of the table after today’s game against Kano Pillars. The match day 15 encounter of the Nigeria Professional Football League (NPFL) is slated for the Godswill Akpabio International Stadium, Uyo, Akwa Ibom State. The Promise Keepers from Uyo are currently topping group B table with 25 points from 14 matches played so far, while the Masu Gida from Kano are fourth on the log with 23 points and t same number of games. Everton knows that a loss for his team will see them relinquish their leadership position. Speaking to The Guardian yesterday, Everton said that he expects the duel against Kano Pillars to be tough because they are a good side and are former winners of the NPFL. 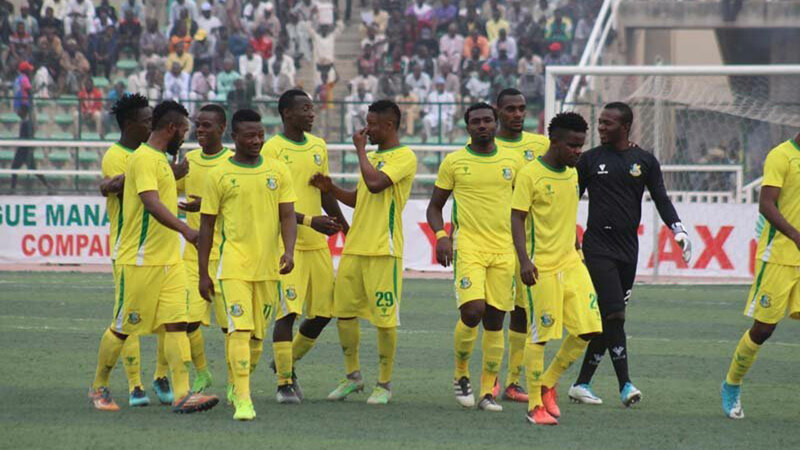 “The game is going to be a very difficult one for us because we know Kano Pillars to be a very good team. We respect every of our opponent, and that is why, Pillars as a big team, deserves our respect. So far, both teams have recorded some good results. “Playing at home will mean we are going to have that home advantage over them in terms of support from our fans. We’ve had one week of good training, and I have told the boys to be patient in taking their chances. Winning today’s game is very important for us because we need to maintain our lead on the table in group B,” he said. While appealing to the club’s supporters to come out en masse to the stadium to cheer the team to victory, the Brazilian coach said their motivation was necessary for the players to win the match against their opponent from the North. “I am appealing to the fans to come out and watch the game on Sunday against Kano Pillars. We’re promising them good football and I assure them we are going to engage them in a very good fight. Nothing short of victory is what we expect. I wish they they will come and help us to achieve that,” he stated.